If you've ever wondered whether it's worth fighting with your child over the amount of time he spends in front of the TV, computer, or another screen, the answer, according to recent studies, is a resounding "yes." Reducing time with devices makes it more possible for families to actually spend time together interacting and talking to each other face-to-face, and can give kids more time to go outside and get some exercise or read a book. Recently, studies have shown that cutting down screen time can also have a positive effect on kids' physical, social, and behavioral well-being, and can even improve their academic performance. Another problem with kids and too much screen time: As children get older and spend more time using screens, there is a measurable drop-off in the amount of educational activities they engage in, according to a recent report by the Joan Ganz Cooney Center, a non-profit research group established by Sesame Workshop. The Joan Ganz Cooney Center report is based on a national survey of parents of 1,577 children ages 2 to 10. Researchers asked parents about their child's use of media including TV, DVDs, video games, books, e-readers, smartphones, tablets, and other mobile devices. They found that kids' exposure to educational media (educational programs such as Sesame Street or an online math game, for example) happens much less frequently as children get older, even as kids begin to increase their screen time. Children ages 2 to 4 were reported to be spending an average of 1 hour and 37 minutes a day on screen time, with as much as 1 hour and 16 minutes being spent on educational materials. In contrast, kids ages 8 to 10 spent 2 hours and 36 minutes a day on screens and only 42 minutes was spent on educational media. In other words, the proportion of screen time spent on educational materials dropped from 78 percent for younger kids to 27 percent for older children. 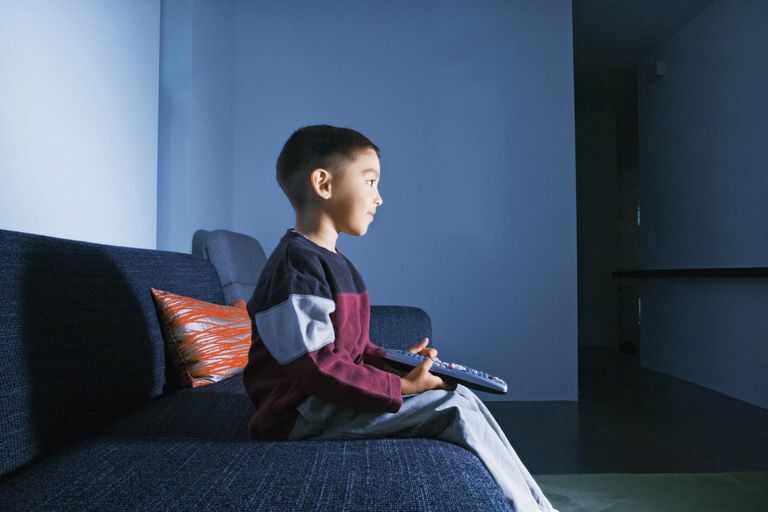 One recent study found that parental monitoring of kids' media use led to improved sleep, decreased body mass index, and better grades. The study, which was led by Douglas Gentile, Ph.D., an associate professor of psychology at Iowa State University and a leading expert on the effects of media on children and adults, looked at 1,323 children in third, fourth, and fifth grades in Iowa and Minnesota over the period of one school year, or seven months. Researchers found that when parents monitored their kids' media use—restricting of the amount of time kids were allowed to use computers, TV, phones, etc. ; restricting content; or actively discussing themes and other aspects of the content they were watching—there were social, academic, and physical changes. Kids slept more, had better grades, and had lower body mass index, or BMI (a measure of body fat based on weight and height), and had less aggression, says Dr. Gentile. Parents may not notice the effect of restricting and monitoring screen time right away, just as they may not notice a child getting taller day to day, says Dr. Gentile, but there is what he calls a "ripple effect." Monitoring screen time and content don't immediately lead to changes, but over time, there is a wide range of health and wellness benefits. According to the study, more parental monitoring led to less total screen time for kids and reduced exposure to media violence, which in turn led to benefits such as improved sleep, lower BMI, better school performance, improved social behavior, and reduced aggression. Set time limits—and stick to them. Whether it's one hour of TV after homework is done or no more than 30 minutes total of texting with friends, establish clear rules and limits for screen time. And as tempting as it may be to give in when kids beg, whine, and bargain for more time to chat with friends, watch a favorite show, or play one more video game, be as firm and consistent as possible. Get screens out of your child's room. Don't allow your child to have a TV or any other tech screen device in her room. Not only has having a TV in a bedroom been linked to lower test scores, problems sleeping, and obesity in kids, it's a temptation. And remember that screens aren't just TVs anymore—don't allow your child to have iPads, smartphones, or any other devices in her room. Know what your child is viewing. Research shows that viewing content with a child and actively discussing themes, thinking about what's viewed critically, and talking about the effects and meaning of the viewed content is one of the best types of monitoring parents can do. Get into the habit of knowing what you're child is seeing and hearing when he is online, playing video games, or watching TV. And be sure to limit the amount of violent content your child is exposed to. According to Dr. Gentile, who is a leading expert on the effects of violent media content, research has shown that violent content can change kids' behavior. Remind yourself that's it's worth the arguments. Your child may be one unhappy camper when her screen time is limited and monitored, but remember that there will be many benefits for her in the long run.